As parents stop by to pick up their children at Westwood Early Childhood Center, something wonderful happens. By watching closely and observing their own child’s activity, they begin to engage in activity with their child and others. 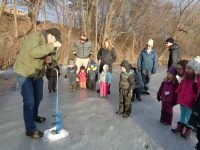 Many of these activities are experienced in the WECC Nature Explore Classrooms. One of our classrooms is located on the playground, adjacent to a beautiful native garden and just across from the woods. The other classroom is on a berm alongside the woods, from which Lake Hannon can be seen. 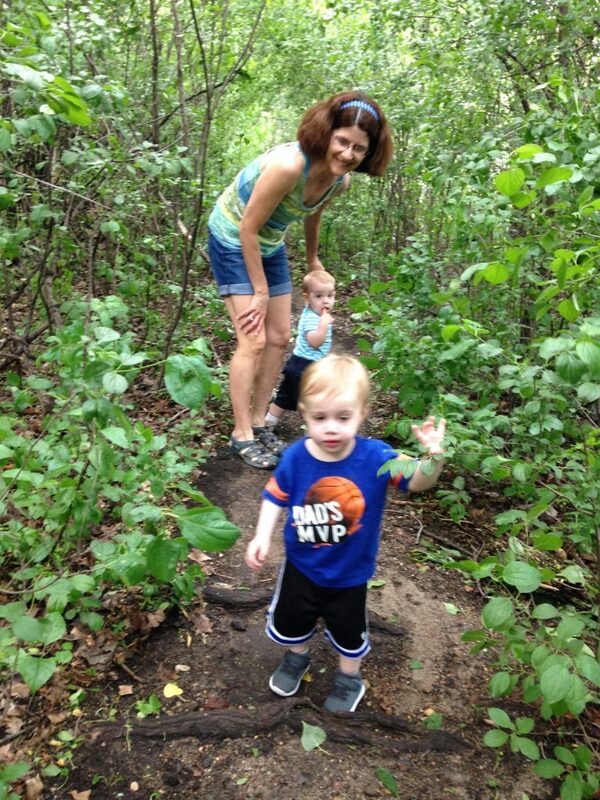 Trails in these woods and along the lakeshore offer exploration opportunities for planned, teacher-led monthly Family Nature Walks at the end of the day, and Outdoor Classroom walks throughout the day. Westwood’s Nature Explore Classrooms feature a variety of ground surfaces including sand, wood chips, soil, grass, rocks, brick path, and dirt. 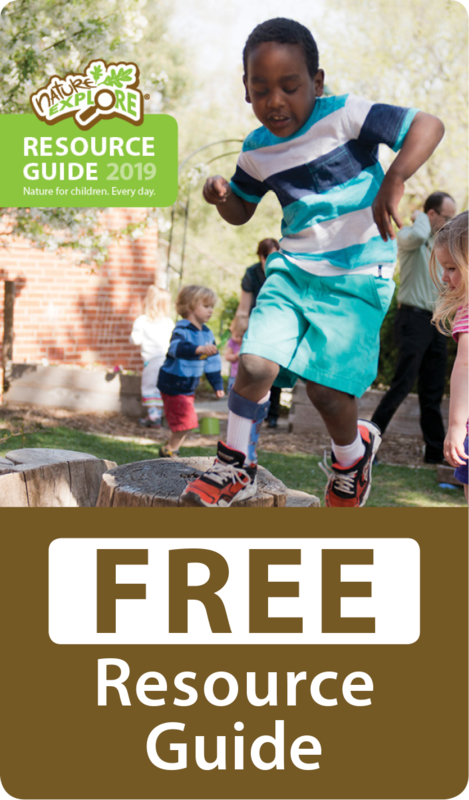 They include areas for endless creative play and learning, with natural loose parts, mud kitchens, gardens and tools, boulders, and a variety of trees, native plants, and grasses. Artistic expression can be enjoyed with permanent chalkboards and tubular bells as well as many emergent opportunities provided as children express interest. 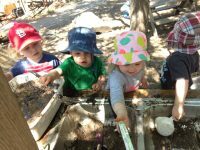 Children can run, jump, climb, dance, engage in dramatic play and games, as well as find spaces for quieter play and reflection, all while learning about and from nature in our Nature Explore Classrooms. These outdoor spaces are always evolving as we observe and share in the children’s daily experiences. Some changes happen throughout our days, some happen beyond the classroom hours. On these weekend and/or evening collaborative work times, parents, staff and children maintain and improve our outdoor learning environments. Boy Scout Eagle Projects have improved and extended our trails. 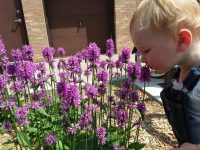 Congregational members of Westwood Lutheran Church have contributed time, labor and supplies to make playground and woodland improvements over the years. We hope you will visit us in our outdoor classrooms. We would love to share our love of nature with you!